The process is simple. 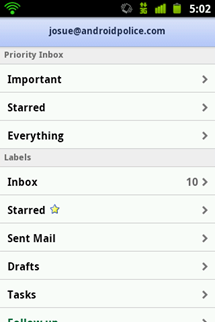 First, you have to have Priority Inbox set up for your email account (if you haven't already done so). 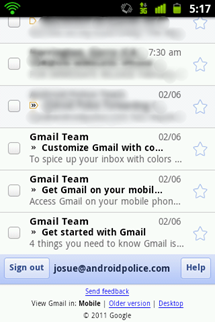 Once this is done, load up your compatible mobile web browser and waddle on over to gmail.com. Click on the menu screen, and ta-da! Your inbox should now be prioritized with the appropriate sections filtered for your account. Once again, your mobile browser must be compatible with HTML5, which is included in Android OS 1.5+ as well as iOS 3 and beyond. Currently you cannot set markers or set up Priority Inbox from the mobile web, so that leg of work is currently restricted to your desktop.